This statistic displays the age-standardized death rate in Canada, from 2000 to 2016, for diseases of the appendix. 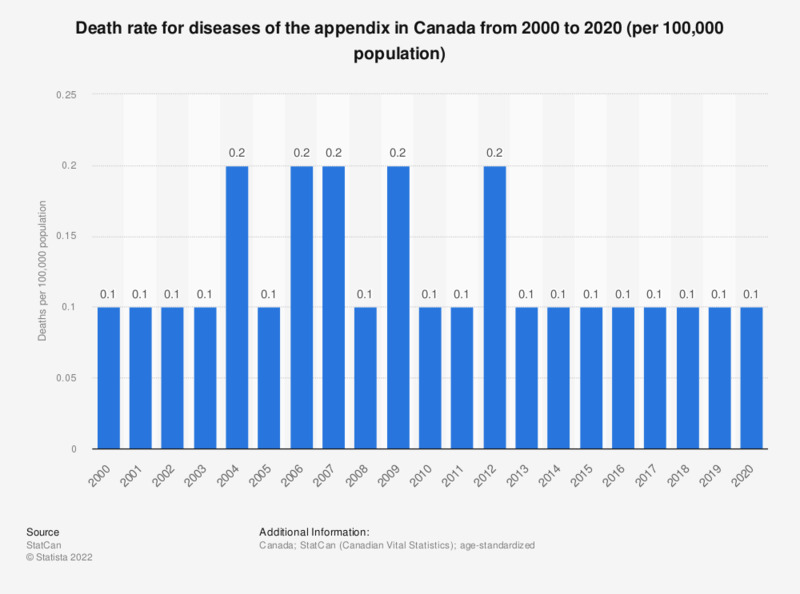 In 2016, around 0.1 out of 100 thousand Canadians died from diseases of the appendix. In 2000, the death rate also stood at about 0.1 per 100,000. Death rates for diseases of the appendix have remained fairly stable over the last decade.